The Association of Registered Graphic Designers’ (RGD) mandate is to establish and promote professional standards and best practices in the graphic design industry. We certify designers who have documented levels of relevant education and experience, demonstrated understanding of business, design and research principles and ethics, and a portfolio of work that applies creativity, imagination, empathy, and strategic problem-solving skills to complex communication projects. 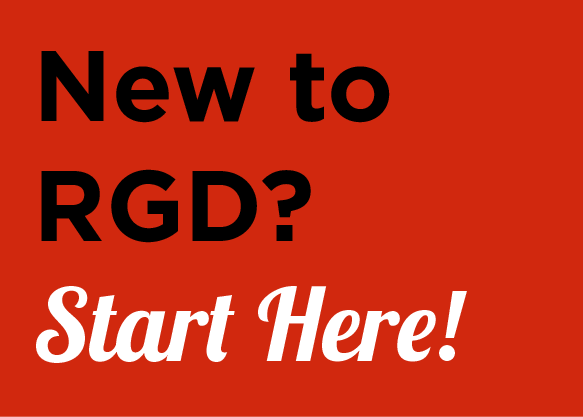 The designation “Registered Graphic Designer” or “RGD” is a signal of quality and competence to the profession, public and government. Representing 3,000 design practitioners, firm owners, managers, educators, students and more, RGD is a hub for the creative community. The Association fosters knowledge sharing, continuous learning, research, advocacy and mentorship. Find out more at www.rgd.ca.